Asturies ConBici (AcB) is a biking association focused on the use and advantages of getting around by bike! AcB’s main activities are held within the Province of Asturias, in Spain. We are also a member of ConBici, so we work with other similar associations within Spain to unite our strengths and ideas. At the moment we have more than 250 members. If you love having fun and biking, this association is for you!!! We have a planned calendar which includes many biking trips during the year. There's activities for everyone (adults & children) and for all levels. Anyone interested in joining our association is more than welcome! Spread the word, the more the merrier!!! Please feel free to participate in one of our day trips...the first one is free!!! If you would like to have a look at a city map of Gijón which includes biking paths, please click here (in Spanish). Are you planning on visiting Asturias soon? Would you like information about bikes and Asturias? Will you be an Erasmus student next year? If so, would you like to know more info. 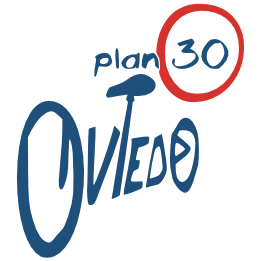 about biking in your new city (Oviedo, Gijón)? Please don’t hesitate to contact us with any doubts or questions you may have. We hope to hear from you soon!! !